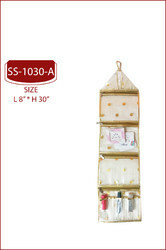 Size: L 8" H 30"
Keeping in notice the varied necessity of our patrons, we are immersed in an extensive plethora of Women Hang Bag. We offer these products in numerous designs and sizes as per the patrons requirements. These products are perfectly designed by highly trained personnel using avant-garde methods that make sure their long life. hand embroidery from kutchh gujarat.hanging bag is well design for partys, teen age etc. 13cm height sisal fibre knotted small hanging bags. Use to mobile pouch and put it big size soaps and herbs like vettiver knot the fibre to use bath purpose. Put it air freshener and hang the cupboards gives smart look and useful. And use to gift bags also. We hold expertise in offering an exclusive collection of jute Assorted Bags, which are crafted in beautiful designs and colors. 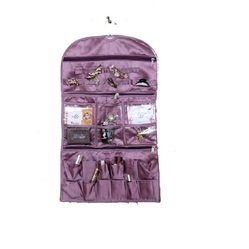 Therefore, these assorted bags are a perfect blend of modern and traditional artistry. Available in multiple sizes and shapes, these bags can be used for various shopping purposes. Good for taking 1lt or 2lt bottles. Can take small items, umbrella etc..
We offer a well known Designer Hanging Bag. Besides, giving trendy look, these bags also assure longer service, as these are made from high quality banana fibre. Offered at market leading prices, these bags are highly demanded by our lady customers from all over the world. We are looking for foreign queries. We are offering a wide range of BOPP Hanging Bag. These are accessible in varied sizes and designs. Our products are made using the best quality raw material and advanced technique to cater to the various needs of our clientele. Moreover, we offer these products at reasonable prices to our customers.